In his book ‘The Alchemist’, Paulo Coehlo famously quoted “When you want something; all the universe conspires in helping you to achieve it.” A Dutchman by the name of Wiebe Wakker has proven (and even discovered) it to be true yet again, relying completely on the kindness of the humankind to put his brave message across. The message? The future is zero-carbon. It took Wakker three years and a total distance of 90,000 kilometres to deliver the message to the world. 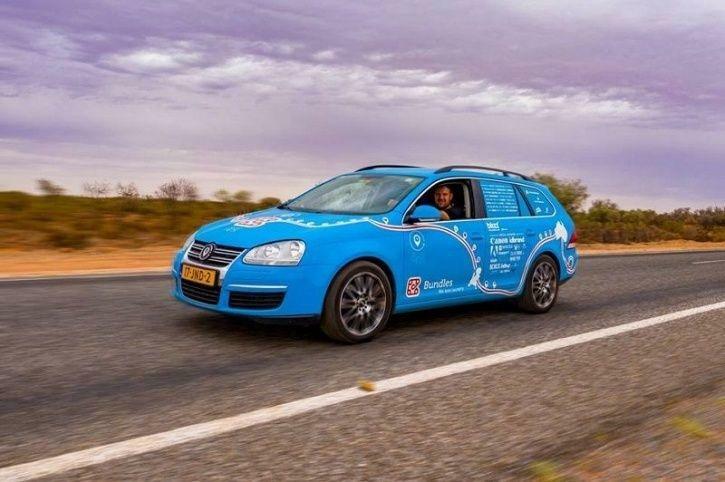 The journey was titled the ‘Plug Me In’ project and Wakker’s ride throughout was an electric Volkswagen nicknamed “The Blue Bandit.” The idea was to traverse across continents in an electric car to spread the word about electric vehicles and help in boosting the transition to a zero-emission future. “A purpose-driven adventure with the aim to inspire, educate and accelerate the transition to a zero carbon future,” mentions its website. The distance wasn’t the only challenge though. To spice things up even more, Wakker left his home with no money whatsoever, relying totally on strangers for his accommodation, food as well as the recharging and services of his vehicle. Wakker accepted help from strangers in any of three ways: food, accommodation or a charging point for his electric car. In addition, he was able to raise $22,618 (around Rs 15 lakh) by doing odd jobs throughout his journey, all of which was spent on car repairs and shipping logistics. 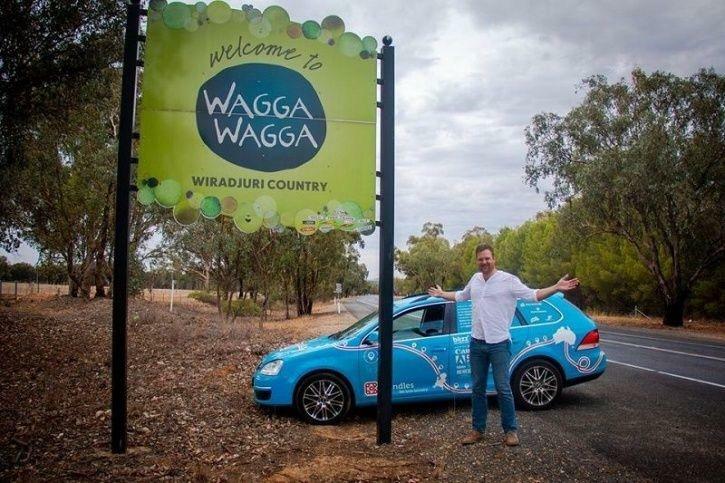 With Wakker leaving the Netherlands in the electric car on March 15, 2016, he had only decided upon Sydney as the destination of his adventurous trip. The path that he was to take was yet unknown to him. So very conveniently (and bravely) Wakker left the choice on to his benefactors, letting people plot his course on his website as they offered him help. And help poured in from all corners, with Wakker mentioning strangers from Norway to Iran, Myanmar to the United Arab Emirates and even India coming to his aide. He was even helped for his car’s repairs through crowdfunding of up to Rs 3.89 lakh, after some mishaps were encountered in his journey in India and Indonesia. Wakker has been a traveller throughout his life. This, however, is the first time he aimed to use his travels for raising awareness on an issue. With his ‘zero-carbon future’ message, Wakker highlighted the ongoing transition to electric vehicles to cut down on the emissions through fossil fuel run vehicles. He also managed to establish a massive trust factor on EVs, stressing upon their reliability over distances and time. As he nears the end of his one of a kind travel, his electric car “[is] still going pretty good,” he confirms.